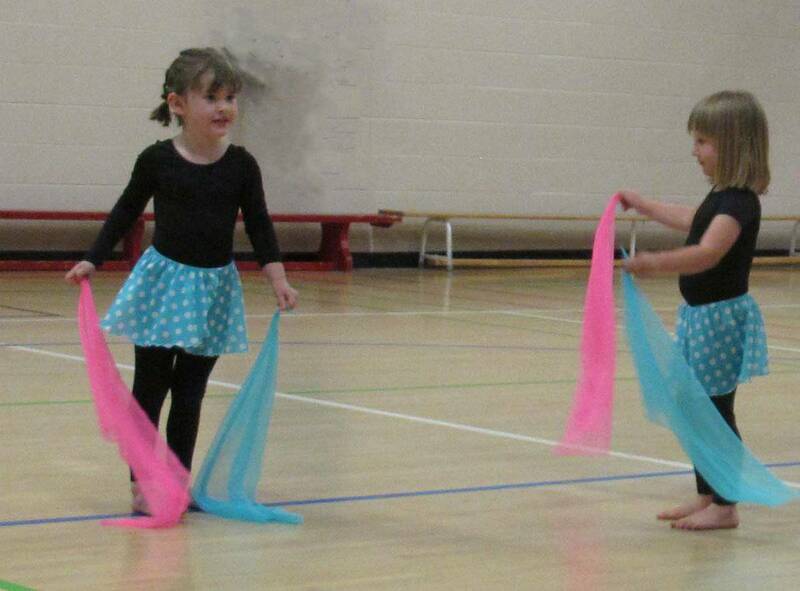 Rhythmic gymnastics at NorGlen is a fun blend of recreational gymnastics and dance, done to music, using hand apparatus such as hoops, scarves, ribbons, skipping ropes, balls, flags, etc. It develops the sense of musical rhythm, timing, memory, peripheral vision, strength, flexibility and coordination at many levels.  Ages 3 to adult ladies. Hand apparatus supplied. 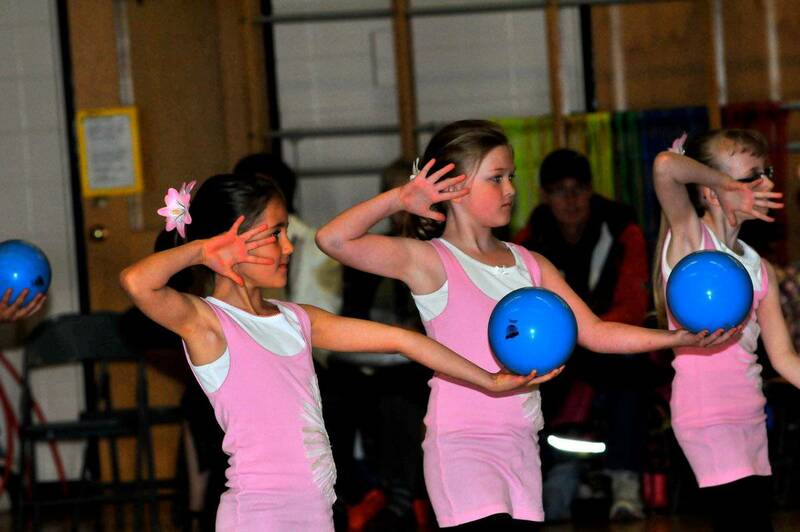 At NorGlen we practice the non-competitive style of rhythmic gymnastics. This non-profit organization is managed by volunteers. 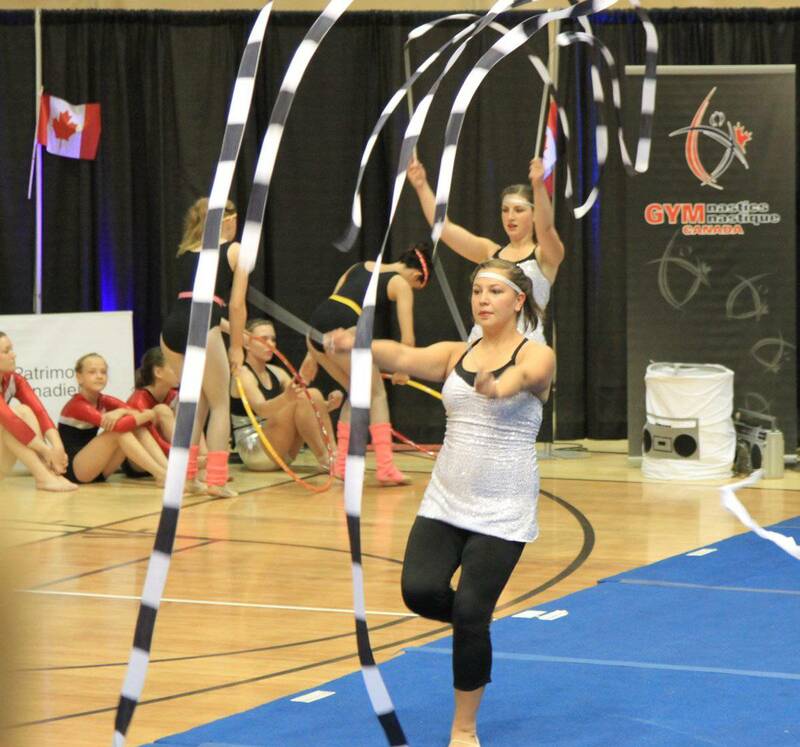 NorGlen is a member of Rhythmic Gymnastics Alberta and Gymnastics Canada. NorGlen Rhythmic Gymnastics Club began as a community program in 1979, later evolving into an independent club. Over the decades, several of our former beginner gymnasts have developed into certified coaches, taking our groups to national and international performance events. See website for class details and registration. 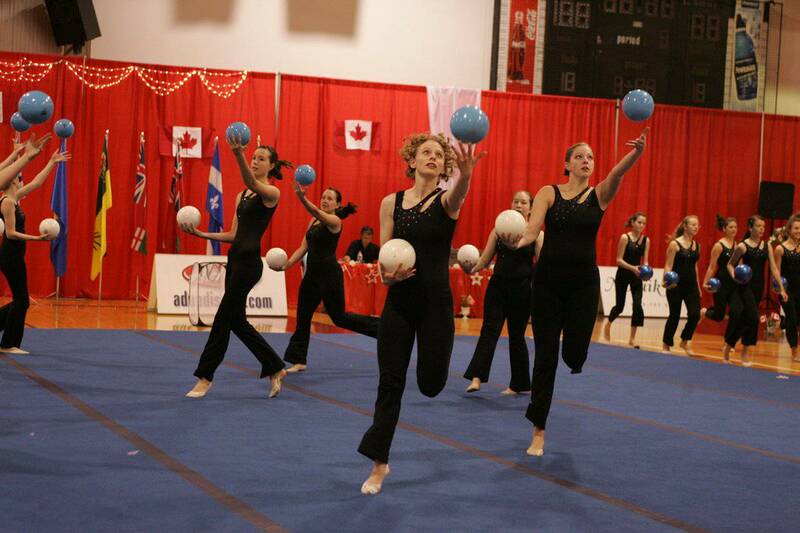 NorGlen has participated in all Alberta annual gymnaestradas and 8 of the 9 Canadian national gymnaestradas held since 1980; also at World Gymnaestradas as of 1991, held once every four years in Europe. A gymnaestrada is a showcase of various types of gymnastics. It is a performance event, not a competition. The next Canadian Gymnaestrada takes place in Alberta at the Univ of Calgary, June 29 to July 1, 2014. Approximately 800 athletes from across the country will be performing, NorGlen gymnasts included. Because NorGlen has operated for over 30 years, from time to time we have generations of the same families taking different classes and occasionally performing together in a choreographed routine. It is neat to see a "mother daughter" routine! 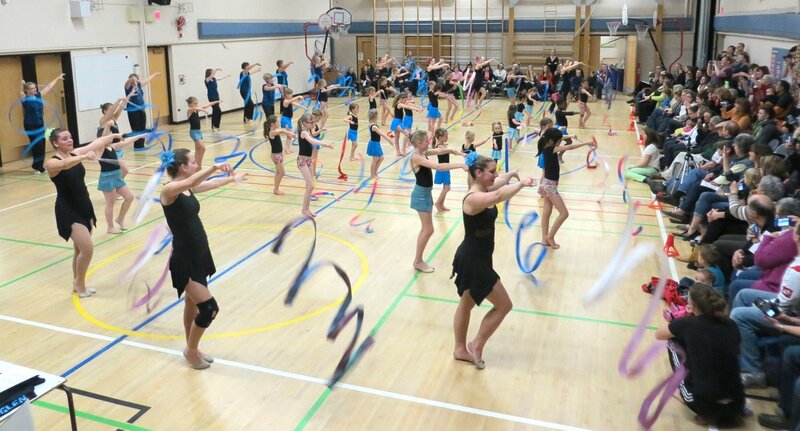 NorGlen Rhythmic Gymnastics club grew out of the North Glenmore Park community centre program, maintaining its ties to that organization and the two closest communities, North Glenmore Park and Lakeview in SW Calgary. Our gymnasts come from various communities in Calgary, including these two. NorGlen rents various school gyms and a community centre facility in SW Calgary, Alberta, Canada.